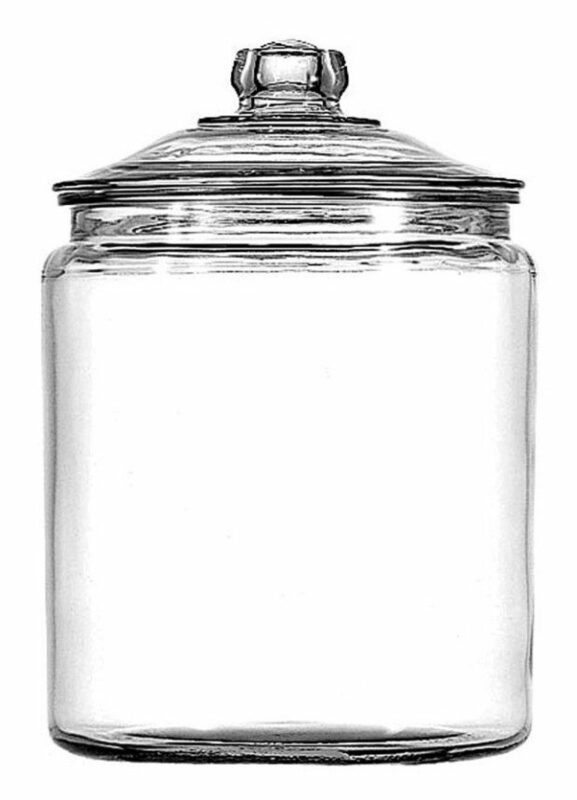 Anchor Hocking 1/2 Gallon Glass Storage Jar Only $12.01 + FREE Shipping! You are here: Home / Great Deals / Amazon Deals / Anchor Hocking 1/2 Gallon Glass Storage Jar Only $12.01 + FREE Shipping! Entrust Anchor Hocking Heritage Hill jars to encase, protect, and stylishly serve foods, and you will never be disappointed! This storage jar is perfect for candies, cookies, dry baking goods and other foods and treats. The removable lid allows it to be quickly filled and easily accessed, and the lustrous, transparent nature of the glass looks great in any setting. Made in the USA, get the Anchor Hocking 1/2 Gallon Glass Storage Jar for Only $12.01 + FREE Shipping!